With so many different apps of such varying quality across so many formats, the mobile and tablet market demands a media outlet with the knowledge, expertise and drive to guide an enthusiastic and constantly growing audience. That’s where Pocket Gamer comes in. Created by an experienced team of games industry publishing professionals, Pocket Gamer acts as a news resource, buyer’s guide, and interactive community across a range of formats such as iOS, Android, Windows Phone, 3DS, PS Vita and Mobile. Pocket Gamer receives on average over 3,500,000 monthly pageviews coming from 1,500,000 unique readers. 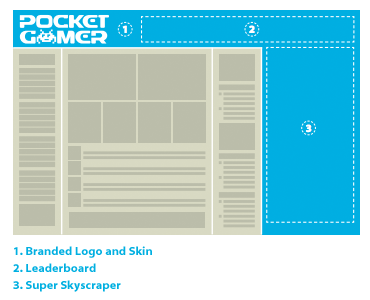 Description: This is an opportunity to brand the site skin, have the Pocket Gamer logo branded to your game or app, leaderboard display, and supersky banner on either the Pocket Gamer homepage, iPhone section, iPad section, or Android Section. This sponsorship opportunity includes the design work by the Pocket Gamer team in order to seamlessly integrate your gaming brand into the Pocket Gamer website. Requirements: Please provide enough information about your company, game, links, or any creatives in order for approval. Description: This is an opportunity to get a featured post written about your iPhone or iPod Touch app. 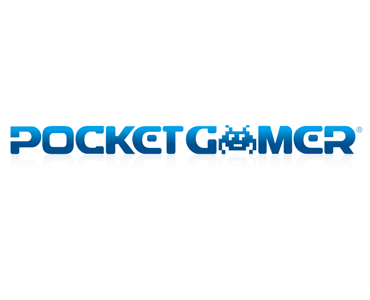 The featured post will remain on the Pocket Gamer website and be promoted across social media channels. Requirements: Please provide enough information, links, videos, images, and promo codes in order for the sponsored feature to be approved. Description: This is an opportunity to sponsor the Pocket Gamer iPhone and iPod Touch podcast with a 30 second commercial about your brand or game. Requirements: Please provide enough information about your brand, game as well as a link to your preferred video content for the commercial. Description: The Super Skyscraper is a premier advertising spot that can be purchased as a standalone display advertisement or as part of the site skin package. This will be prominently displayed in the upper right hand part of the selected section on Pocket Gamer. Requirements: Please provide enough information about your brand, game as well as your 300×600 creative in order for approval. Description: The Leaderboard is a premier advertising spot that can be purchased as a standalone display advertisement or as part of the site skin package. This will be prominently displayed in the upper middle part of the selected section on Pocket Gamer. Requirements: Please provide enough information about your brand, game as well as your 728×90 creative in order for approval. • 61% of readers have purchased something as as direct result of Pocket Gamer. • 66% are aged between 21 and 40 years old. • 88% spend up to $45 every month on games. • 80% buy games direct from their computer or phone.